Chefchaouen . Morocco . attractions . Culture . Visit Morocco . This unique city is worth visiting for its visual appeal alone—but it also offers much more: a relaxed medina, rugged mountains, delicious food, and a fascinating history. Where else in the world can you find an entire city painted in shades of vibrant sky blue? As you lose yourself in Chefchaouen’s blue streets, you’ll encounter stunning views everywhere you turn. Point your camera in any direction, and you’ll end up with pictures that look like professional postcards. The city truly is breathtaking. In addition, it’s nestled among the Rif Mountains. Even if you don’t have time to take a hike during your trip here, you can enjoy the mountain views from a number of vantage points: Simply relax in a rooftop café to savor a mint tea and take in the mountain backdrop. 2- It’s an excellent hiking base. 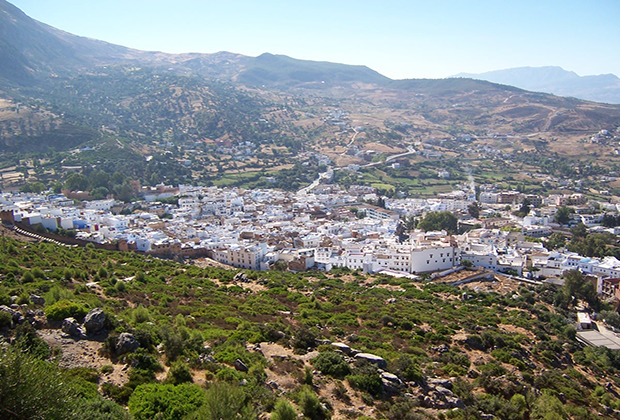 Thanks to its location in the Rif Mountains, Chefchaouen appeals strongly to hikers and nature lovers. There are multiple trails you can take in the area, depending on your experience and the level of difficulty you prefer. Some options? Walk over to the Ras el-Maa waterfall on the east side of the city to enjoy its natural beauty. Summit Jebel el-Kalaa, a demanding peak that looms 1616 meters high over the city. Arrange a trek in Talassemtane National Park, a short drive to the east. You can either visit Talassemtane on a day trip, or organize a multi-day excursion, staying in a tent or cabin within the park. 3- The medina is a wonderful place to shop. Chefchaouen’s medina is relatively small (compared to the larger and more frenzied medinas of Fez and Marrakesh), but many visitors find it extremely charming. You can spend an afternoon wandering the shops and browsing handmade goods at a calm and relaxing pace. On some days, people from the nearby Rif Mountains come to the city to sell their wares as well. What can you expect to see? Carpets, clothing, spices, metal wares, and most notably: leather goods. The leatherworkers of Chefchaouen are very skilled and offer an array of leather items—and you can even commission a custom piece! You can also enjoy various local food products, especially the city’s famous goat cheese. Some cities are enormous and spread out, demanding that visitors figure out public transportation or take taxis to see all the major sights. Chefchaouen, on the other hand, is eminently walkable. Thanks to its compact layout, you can wander the medina, visit the Kasbah, and even walk over to the waterfall quite easily. Along the way, you’ll pass plenty of restaurants, shops, and cafés where you can break up your day of sightseeing with a cup of tea. The city’s walkability adds to its relaxed feel. Simply head out your door and explore on foot; no need to figure out the bus system! 5- The city has an interesting history. 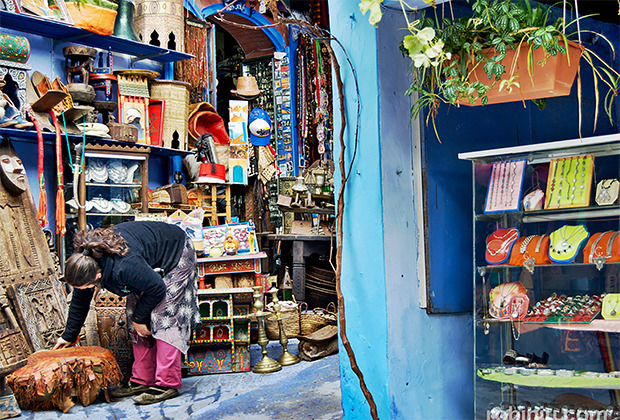 Founded in 1471, Chefchaouen has had a colorful history over the centuries. 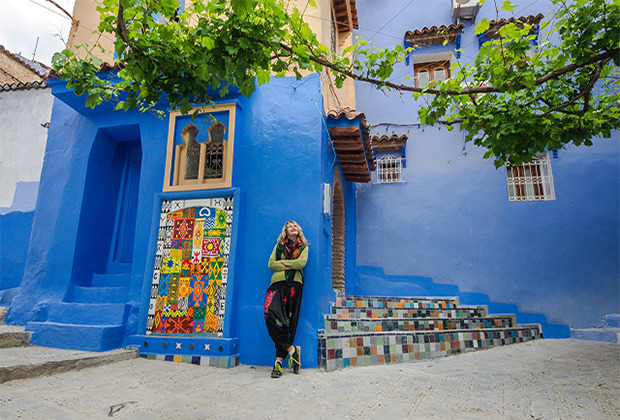 Its famous blue walls are often speculated to have something to do with the city’s Jewish history: Many Jews fled Hitler and moved to Chefchaouen in the 1930s. According to one popular theory, they were the ones to begin painting the town blue, intending the color to evoke heaven. 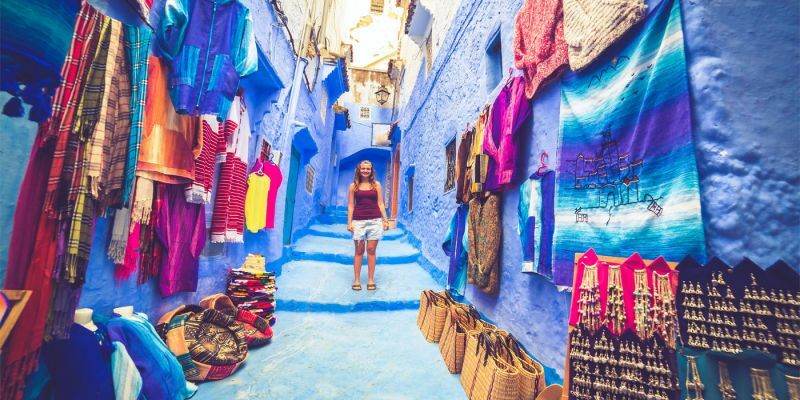 You can learn more about Chefchaouen’s history and culture at the Ethnographic Museum, which displays traditional clothing, pottery, folk art, and musical instruments from the region. 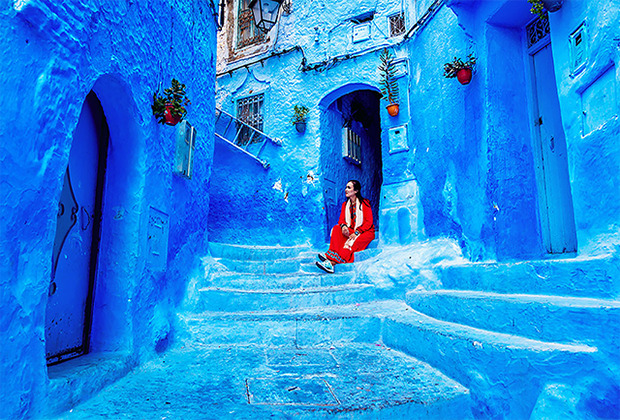 There’s simply nowhere else quite like Chefchaouen. This charming mountain city offers a peaceful, walkable, incredibly picturesque escape. Even if you only stay a day, you’ll be able to see a good deal of the city and get a sense of its unique personality. If you stay longer, you can take full advantage of the surrounding natural landscape. And if you stay long enough, you’ll probably never want to leave! 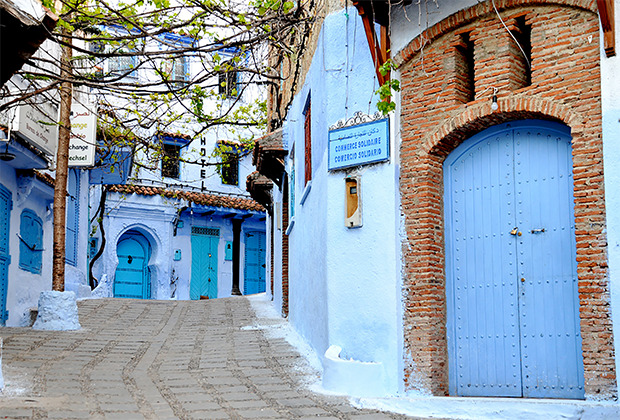 Chefchaouen is an amazing city with its blue color on walls and streets, Interested about visiting the city ? discover morocco through one of our Morocco Travel Packages!